Alisa spends her childhood working on skills and completing her aspiration. 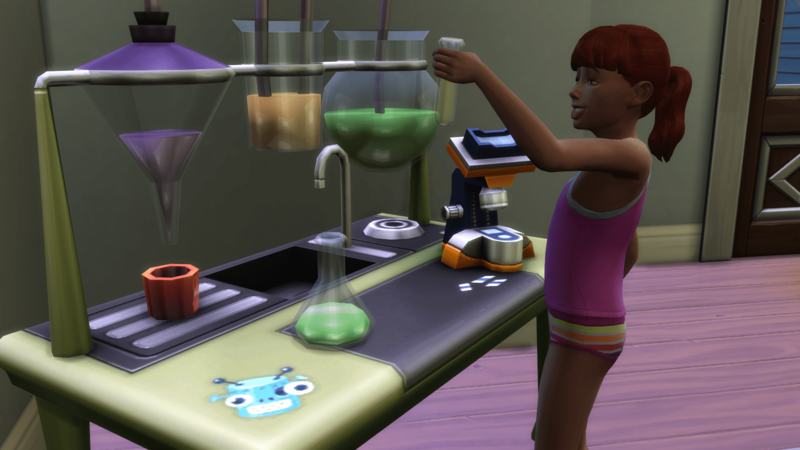 Alisa completes her first child aspiration of Rambunctious Scamp and choose Social Butterfly for her second aspiration. She spends her last night as a child making friends with Bella Goth.